PASADENA, Calif. -- NASA's Cassini spacecraft has tracked the aftermath of a rare massive storm on Saturn. Data reveal record-setting disturbances in the planet's upper atmosphere long after the visible signs of the storm abated, in addition to an indication the storm was more forceful than scientists previously thought. Data from Cassini's composite infrared spectrometer (CIRS) instrument revealed the storm's powerful discharge sent the temperature in Saturn's stratosphere soaring 150 degrees Fahrenheit (83 kelvins) above normal. At the same time, researchers at NASA's Goddard Spaceflight Center in Greenbelt, Md., detected a huge increase in the amount of ethylene gas, the origin of which is a mystery. 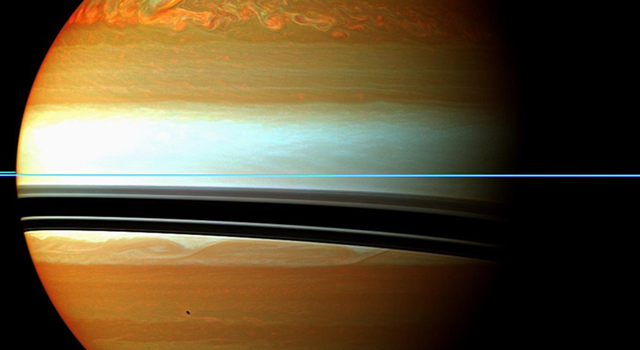 Ethylene, an odorless, colorless gas, isn't typically observed on Saturn. On Earth, it is created by natural and man-made sources. 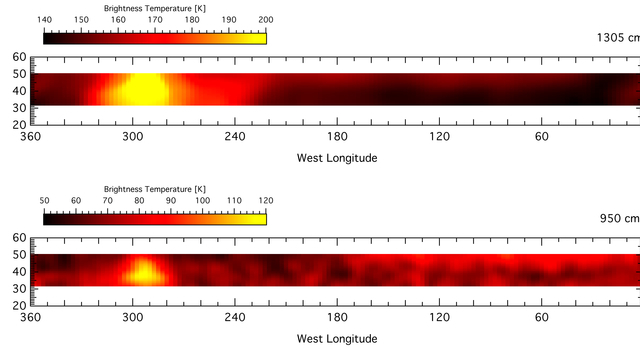 Temperature measurements by the composite infrared spectrometer, first published in May 2011, revealed two unusual beacons of warmer-than-normal air shining brightly in the stratosphere. These indicated a massive release of energy into the atmosphere. 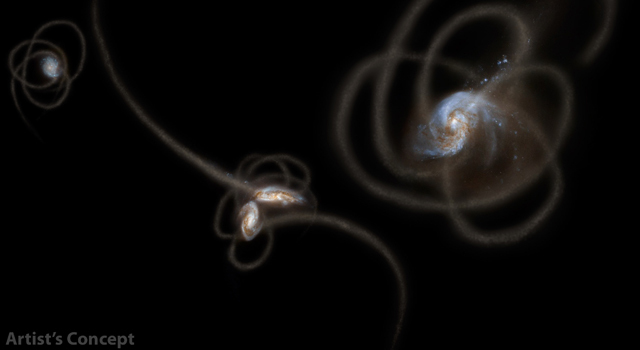 After the visible signs of the storm started to fade, the instrument's data revealed the two beacons had merged. The temperature of this combined air mass shot up to more than minus 64 degrees Fahrenheit (above 220 kelvins). According to Hesman, the huge spike of ethylene generated at the same time peaked with 100 times more of the gas than scientists thought possible for Saturn. Goddard scientists confirmed the release of ethylene using the Celeste spectrometer mounted on the McMath-Pierce Solar Telescope on Kitt Peak in Arizona. "These studies will give us new insight into some of the photochemical processes at work in the stratospheres of Saturn, other giants in our solar system, and beyond," said Scott Edgington, Cassini deputy project scientist at NASA's Jet Propulsion Laboratory in Pasadena, Calif. The Cassini-Huygens mission is a cooperative project of NASA, the European Space Agency, and the Italian Space Agency. 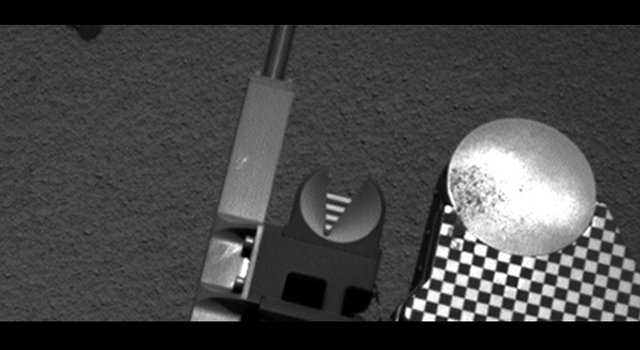 The mission is managed by JPL for NASA's Science Mission Directorate in Washington. Hesman's work was funded in part by NASA's Planetary Astronomy Program in Washington. The CIRS instrument and Celeste spectrometer were built at Goddard. JPL is managed by the California Institute of Technology, Pasadena. To read more about the Fletcher paper, visit: http://www.esa.int/esaSC/SEMLPIMFL8H_index_0.html. For information about Cassini and this observation, visit: http://www.nasa.gov/cassini and http://saturn.jpl.nasa.gov . Goddard Space Flight, Center, Greenbelt, Md.